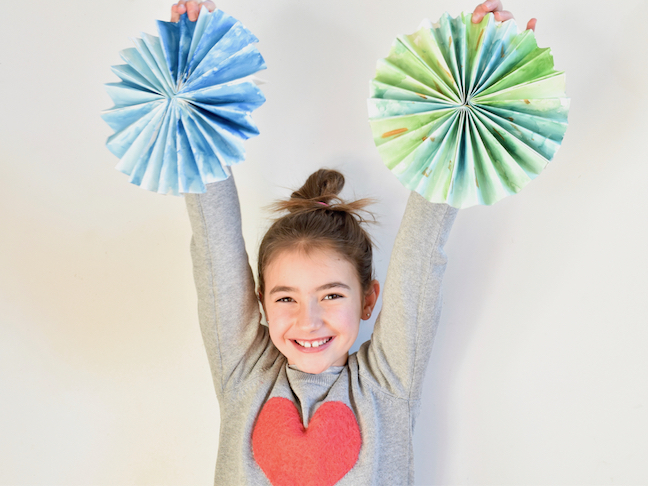 DIY paper pinwheels are probably the easiest DIY craft for kids that result in the prettiest final product. Plus, they are simple enough for kids to do on their own with little to no supervision. I’ve bought my fair share of pinwheels for celebrations and to spruce up home decor in the past, but I’ve never made one…until now. 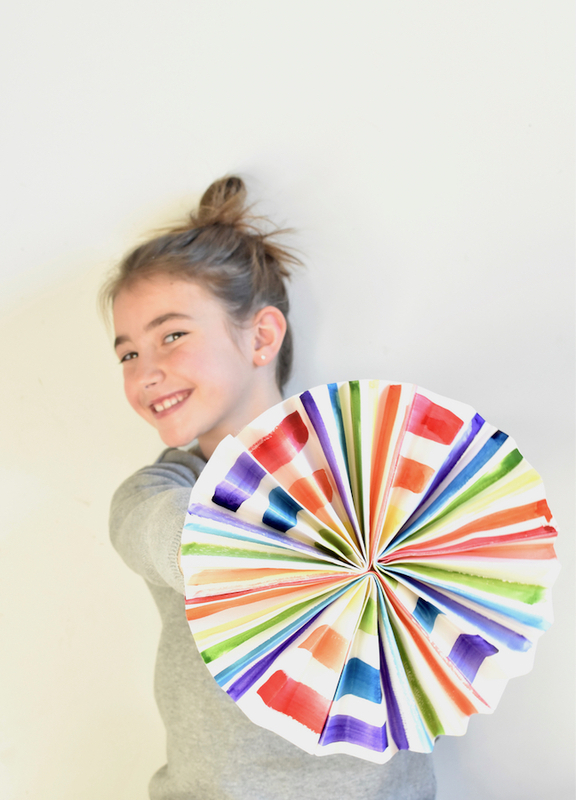 With the weather still being cold outside, and my kids searching for activities inside, these DIY paper pinwheels kept everyone busy. We found that once we got the hang of the process, we were able to whip them up in about 10-15 minutes each. We created a pretty big pile and they made a fun statement once we hung them all up. 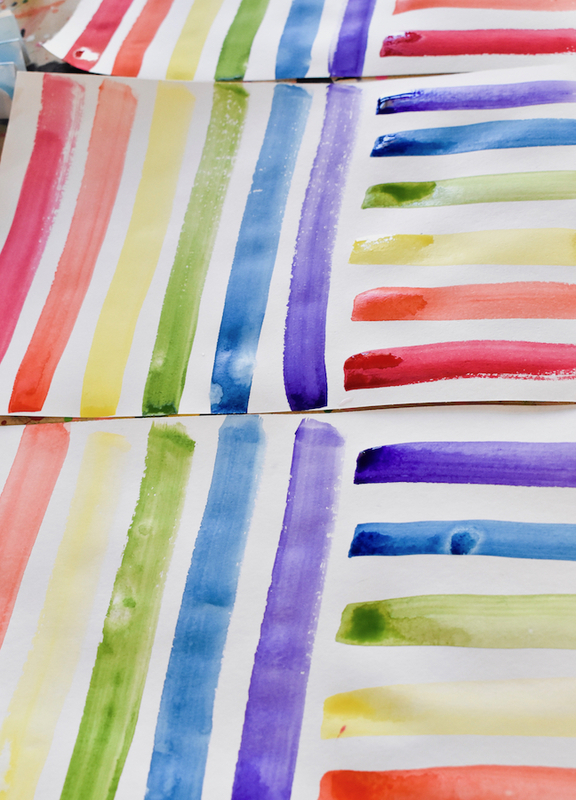 Reach in your art cart or bin for this one because most likely, you already have the supplies on-hand. 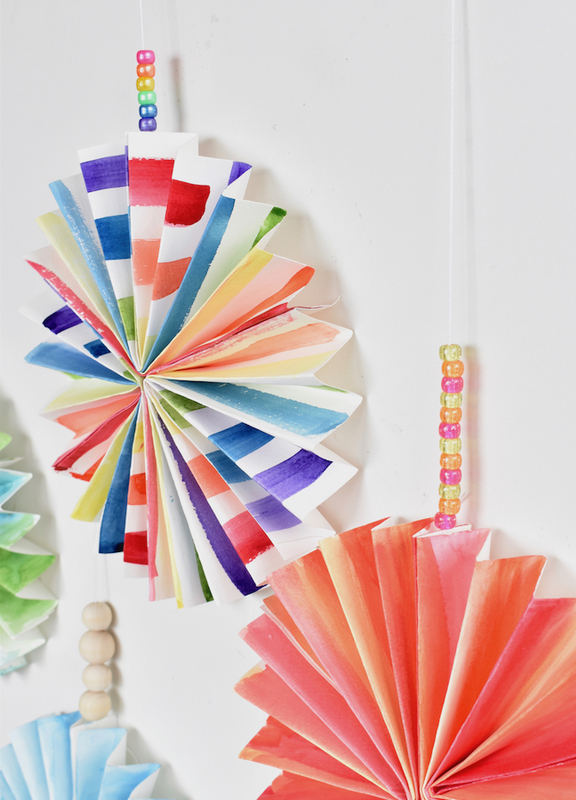 Let’s get this DIY paper pinwheel party started! Here’s how to make them. 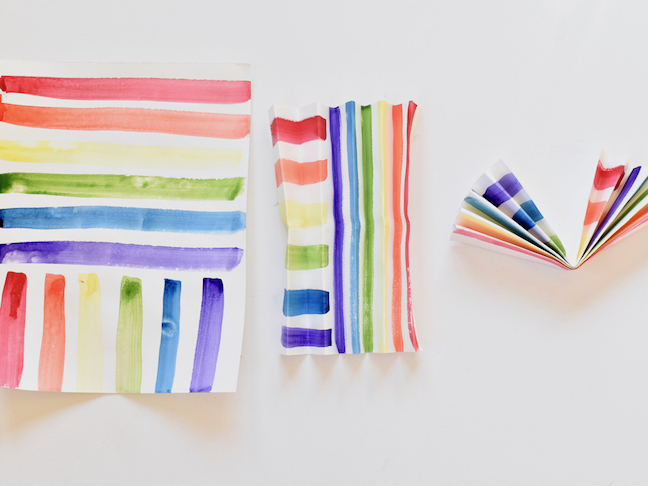 Step 1: Paint the unfolded paper with watercolor paints. 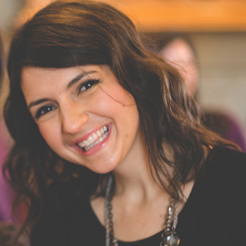 Let your creativity take over. You can paint dots, rainbows, flowers, sunsets or whatever you want. 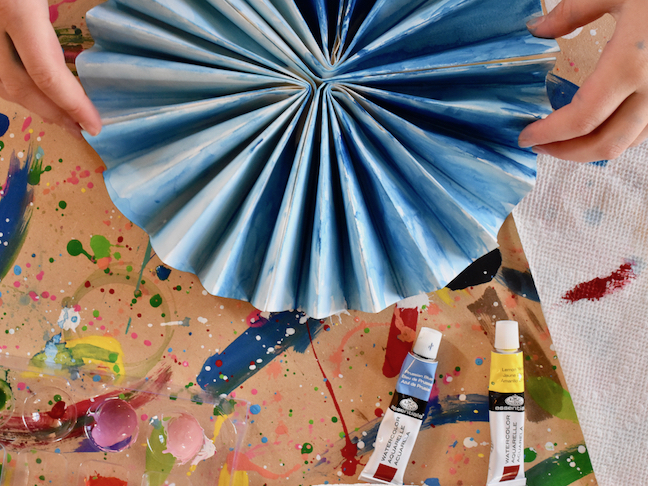 First we tried to make the pinwheel prior to painting (directions on how to fold the pinwheel is below). 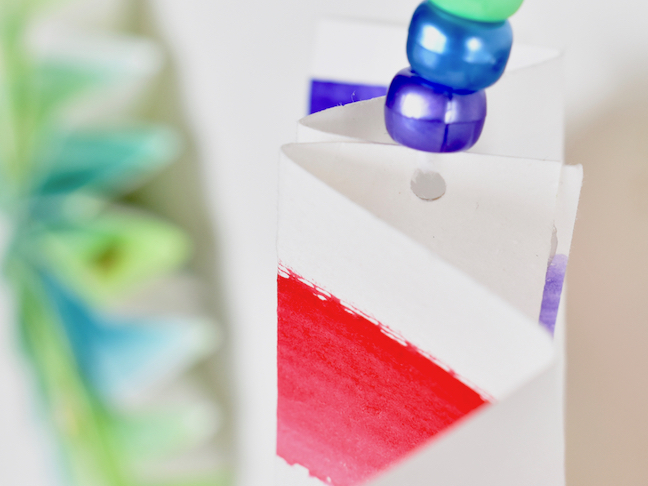 Next, we tried to paint the paper first, and then fold. For my daughter, the best way to do it was to paint the paper first, and then fold it. When the paper is folded, it’s harder to draw shapes and designs on it. 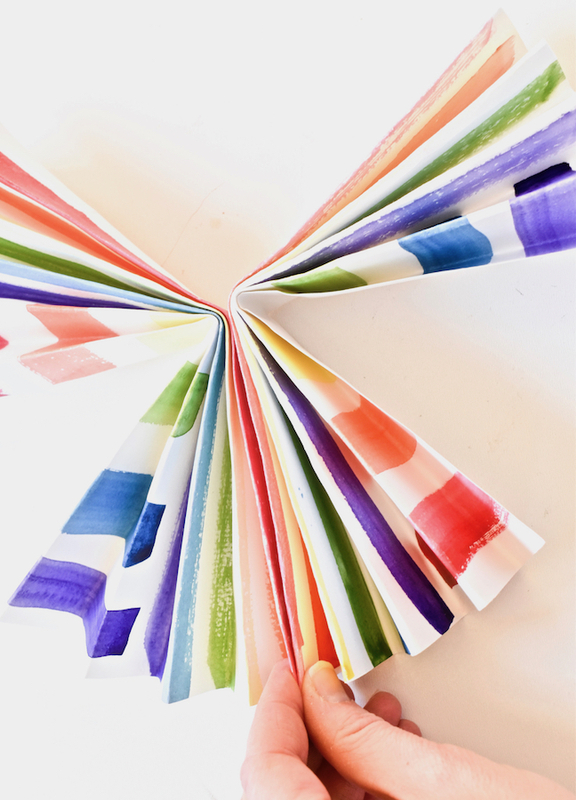 Step 2: Once the paint is dry, fold the paper like a fan. We made approximately 1 inch folds. Next, fold the folded paper in half. It will look like a V. The folding part of this project may require some assistance for pre-school age kids, as watercolor paper is thicker than standard computer paper. Step 3: Now, you’re ready to glue it. Use your hot glue gun to glue the sides of the V together, and then once the other sheets of paper are folded, glue them all together. I used 3 sheets of folded paper per pinwheel. You can 4 if you want. 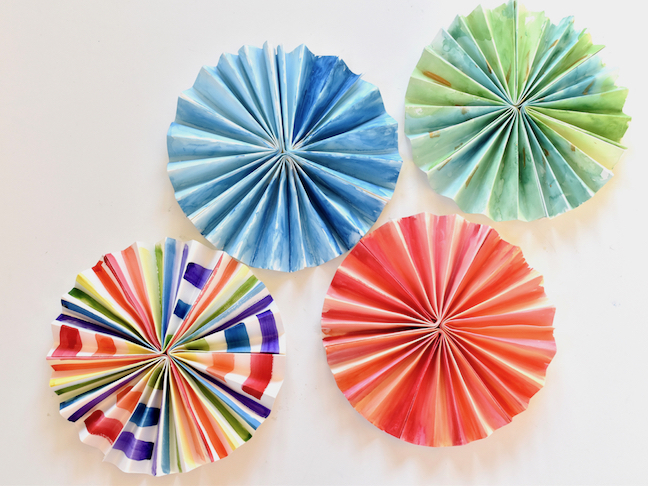 Also, if you want to make various size pinwheels, use larger or smaller paper on step 1, or don’t fold the folded paper into a V, and glue the folded sheets together for a larger fan. 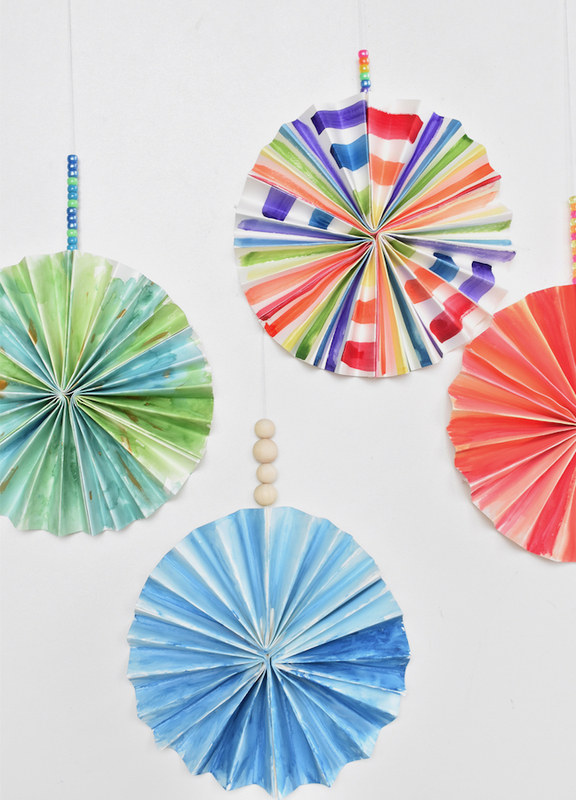 Step 4: Punch a hole in the back of the fan, insert a piece of string or twine, add beads or pom poms for decorations, and then hang them up.